Imagine only watching movies done by a single director. Steven Spielberg might be incredible, but after a while, you’d probably get tired of seeing his work. It’s why we watch movies performed by different actors, telling different stories, and directed by different individuals. Too much of the same becomes dull, trite, and repetitive. The same is true for your brand’s content. Often, companies get into a rut where only one or two individuals at the company create all the content. And while this can be valuable if you have an exceptional writer on your team—a Spielberg, so to speak—in the end, it will feel staid. But here’s the bigger problem: Employees will become less and less likely to share, like, and retweet content if it’s all coming from the same individuals. It’s too repetitive. Variety is the spice of life, so you need to capitalize on all the different voices in your company when creating content if you’re going to have an effective employee advocacy program. 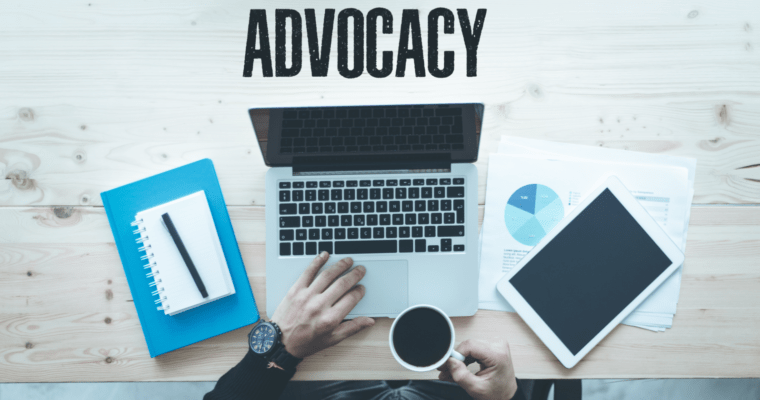 To further this point, we want to share a few battle-tested tips on creating a more effective, sustainable employee advocacy program with content as the foundation. To do this, we’ll examine the marketing operations of some well-known brands in the B2B space, and take a closer look at what’s worked for them. Sending out a mass company email asking for your employees to contribute to your blog will, likely, result in the sound of crickets chirping. People get busy with their jobs and see writing a blog as an extra assignment that is only required if they have time. This leaves too much to chance. Instead, consider starting an employee blogging program to coach your coworkers through the process or creating an incentivized system for when employees contribute. Whether the incentive is swag, gift cards, or a trophy of some sort, employees like (and deserve!) to be rewarded. For example, the blog you’re reading right now, Marketo’s blog, has over 20 different topic categories and nearly 50 internal bloggers. While the content team is heavily involved in topic coaching, editing, and content creation, subject matter experts are tapped to create a variety of voices that all fit within the brand. This takes the pressure off of the willing few and spreads it more evenly between groups of individuals who are all considered experts on a certain topic. Lastly, the more topics your brand covers, the more relevant (and shareable) it becomes to other employees. Depending on the size of your organization, this can be a major advantage in getting employees to spread the word on their personal social channels. In a study by the Harvard Business Review, 72% of businesses admit that recognition for high performers had a significant impact on employee engagement. Take advantage of this when it comes to content creation. First, show your employees how creating content and becoming an advocate can benefit them. Talk about promotions and increased recognition as a thought leader in their field. Then, make sure you recognize every employee for his or her work. Clutch.co does this well. On the Clutch.co Blog, the header image for each article includes a small picture, name, and expertise of the post author. This immediately personalizes the article while also ensuring that the writer is given credit for their work. Everyone likes to see his or her picture somewhere, and this is a great way to do it. You can also offer additional incentives for content creators such as an “employee of the month” program for the contributor who created the most-read or most-viewed content. The more attractive you make content creation, the more willing your employees will be to participate. Every content creator will, most likely, share their own content, but that’s not enough. You want your employees to share all of your content on a regular basis. Don’t leave this up to chance. How often employees should share content. The best way to communicate—language, responding to comments, tone, etc. Where employees can post content and how. The key is to create a social media policy that takes out the guesswork and answers any questions that your employees might have. For example, OpenView Ventures has a very professional tone on their blog. They rely on statistics, research, and experience in all of the content they share. This means that the company would want to ensure that employees adopt the same formal tone when sharing on social. The last thing OpenView would want is an irreverent tone that risks the company’s reputation. It’s for that reason that OpenView makes it so intuitive to share their content on social media. At the top of every blog, there are share buttons for Facebook, Twitter, Pinterest, LinkedIn, Email, and Google+. The tweets are auto-populated with content, and the other posts include the header image and descriptive text for the article. This ensures that all employees are on the same page when sharing while also encouraging it because it’s so easy to do. Finally, it’s important to simplify the contribution process as much as possible. If you require employees to come up with their own content ideas, write the content, find images, and post online, it can be too much work, and make them less likely to contribute. Instead, create a process that makes it as easy as possible to contribute. The first step is to consider adopting an employee advocacy platform—such as Oktopost—that allows your employees to effortlessly discover, filter, and share content all from one interface. This also helps you keep all of your work in one, easy-to-access location for open communication, ease of editorial review, and more. For employees who are not talented writers, offer them the ability to share their thoughts in video or podcast. Or, interview those employees and bring on a ghostwriter to complete the article. Have an editor ready to polish any finished articles before they go online to ensure that only the best content is published. Place your marketing and graphic design team in charge of images, so that they remain professional and in keeping with the company image. Send out company-wide emails after new content is created with example social media posts to encourage sharing. The more you can do to make creating and sharing content a comfortable process, the more likely you’ll get company-wide participation. Employee advocacy is vitally important to the success of your company, and the hardest part is often its execution and getting your workforce involved. By following the tips we’ve laid out above, you should have a much better opportunity to get everyone to contribute content.